DNA Forensics Laboratory Pvt. Ltd. has been acknowledged for most accurate and affordable Legal DNA Immigration Test services. Our test results can create an authentic base in paternity, maternity, siblingship, or grandparent biological relationship for immigration purposes. If your immigration case needs DNA testing as part of the visa process, go nowhere else then DNA Forensics Laboratory Pvt. Ltd. We ensure personalized consultation by our professionals guiding you for the test process considering complete verification and accuracy. Also, it helps to deal with the long, complex immigration visa application procedure that has to be followed accurately. Due to our experience in the field over the years, we are able to give you specific suggestions and guidance as per your case. We Provide DNA Paternity Test, DNA maternity Test, DNA siblingship Test, and grandparent biological relationship Tests for immigration purposes. Genetic testing is a useful tool for verifying a stated biological relationship when no other form of credible evidence is available in conjunction with an immigrant visa (IV) application. Commonly tested relationships that utilize DNA testing include paternity, maternity, full-siblingship, or half-siblingship. DNA technology is the only non-documentary method accepted for proof of a biological relationship. When genetic testing appears warranted, a Consular Officer may suggest visa applicants undergo DNA testing to establish the validity of the relationship(s). What Type of DNA Sample Method is Used? Deoxyribonucleic Acid (DNA) testing is the most accurate and widely available technology to test a biological relationship. The preferred specimen collection technique for DNA testing is by buccal (cheek or mouth cavity) swab. When buccal swabs are taken, cells are collected from the inside cheek or mouth using a long cotton swab. While there are different types of DNA tests, buccal cheek swabs are used rather than blood samples because they are easier to collect, non-invasive, painless, and easier to ship. DNA testing reliability has advanced to the industry-accepted standard of 99.5 percent. The accuracy of a DNA test conducted with a cheek swab is equivalent to a test conducted using a blood test. Consular officers may only accept test results reporting a 99.5 percent or greater degree of certainty with respect to paternity/maternity as sufficient to support a biological relationship between a parent and child in visa cases. Most of the embassy accepts only AABB certified report only. In case of identifying family relationships for immigration purposes, the test has proven very useful. Individuals who don’t have permanent citizenship can apply if the age is 18 or above. Also, those who have parents, grandparents, siblings or daughter or son settled to the country they prefer. The Standard 24 Marker accredited DNA Test provides a good representation of Immigration relationship. The 24 Marker reports are approved to be submitted for Immigration & Legal Court cases. If you are unsure of your location then reach our professionals with your queries to be answered. 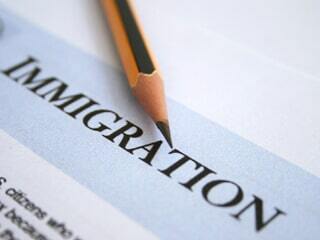 Apart from this, if you have any immigration lawyer hired for your visa process then we are delighted to explain the whole procedure to you or them. And we may even guide you in getting legal support from our third party partnerships. We provide DNA Immigration testing at cost effective rates for further information read our blog – DNA Test Cost in India. You may call our helpline +91 9213177771,whatsapp us at: +919213177771 or drop us a line in case you have any queries.